For nearly five decades, Mark Buciak has been running in some way or another. A competitor of 62 marathons (including 39 consecutive Boston Marathons), he has also been a member of various running clubs, including The Road to Boston, which he founded in 2005. In that time, Buciak has noticed a considerable improvement in running clubs. In fact, he believes their popularity has risen to the point in which they’re almost (the key word is almost) as popular in the United States as they are in Europe, which is renowned for its running club system. “The bottom line is this: running clubs are offering a lot more than just running now—mainly social and charity aspects,” he says. Currently, The Road to Boston has members of all ages (from 21 to 71 years old) and abilities. 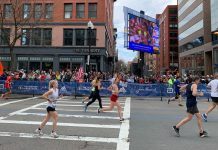 Some are training for the Boston Marathon, while others are either training for a BQ (Boston Qualifying time) to be eligible for the marathon, or simply running to exercise, meet new people and have fun in a healthy, social environment. This social aspect of the club is crucial, whether members are marathoners or non-marathoners. 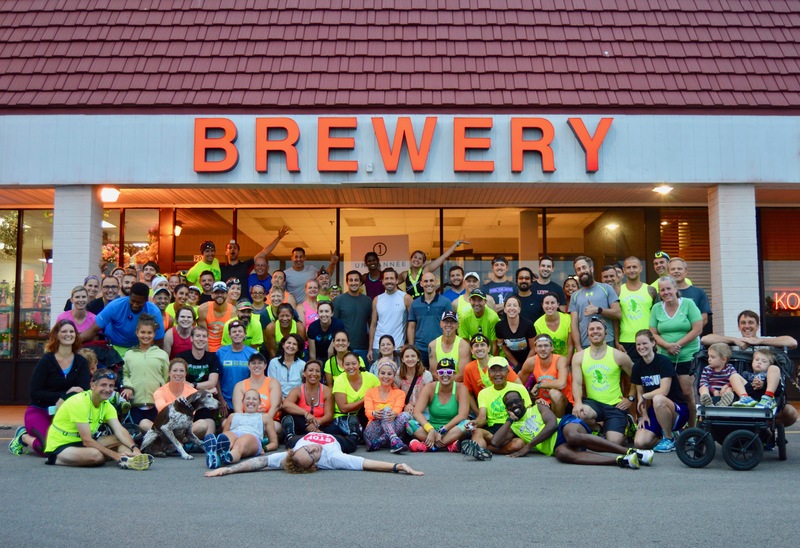 After all, running is one of the most social sports of all, and Buciak has recognized his members’ desire for socialization since he first developed the club. “Everyone can run by themselves. But to have a more enjoyable time and become a better runner at any level, a club is very important,” he adds. 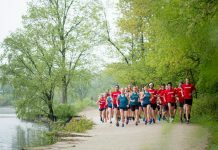 As the founder of Libertyville Running Club, Mike Brunette completely agrees, stressing that socialization has always been the key ingredient to his club’s success, as it “put the club on the map.” Since creating the club in 2014, Brunette has had one primary goal: to offer social activities to different types of runners. Throughout the year, members (usually anywhere from 30 to more than 100, depending on the season) will meet up at bars or breweries after Wednesday night runs and local coffee shops after Saturday long runs—to the point in which Brunette often has difficulty finding locations that can host so many people at a time. By offering variety without pace groups, Brunette has seen runners become great friends with other runners they may not have normally been associated with—from seven-minute milers talking to 12-minute milers at coffee shops, to hopeful 10K runners learning from accomplished ultra-runners over a beer at a local brewery. Nick Bensen, president of Oak Park Runners Club, strives to offer his members similar opportunities by providing a wide array of events, including special theme runs every month. He hosts events such as a pre-Super Bowl run (in which members wear their favorite team’s colors and gear, and then enjoy beer and wings afterwards), a Thanksgiving morning run (with coffee at Starbucks afterwards) and a Christmas Eve morning run (as members wear Christmas themed running gear and Santa hats). This similar influence of socialization has been noticed by John Avila, board member and communications director of Frontrunners, a running club for the LGBTQ community. Thanks to Frontrunners, members now have an entirely different social venue (aside from typical nightlife) to meet a diverse group of people. There’s nothing quite like the camaraderie of running clubs either, from going to races together and cheering for one another, to warming up (and cooling down) together. People from all walks of life become friends and enjoy each other’s company even when they’re not running. Sometimes club members introduce their fellow members to future spouses, or even ultimately marry a fellow member themselves. Often times, running club members will also meet traveling buddies that they’ll not only run around the United States with, but the entire world. After all, most runners love to travel and explore new places. Everyone has days in which they simply don’t feel like running. Or they may be uncertain about certain aspects of their runs or lack confidence about their recent performances. Running clubs can change runners’ outlooks entirely though—quicker than they may have ever imagined. Cournane also believes that whenever it’s difficult to start a run, knowing that other runners are waiting for you and depending on you to show up provides more than enough motivation to leave your home and run to the best of your ability. Group running also allows runners to maintain a certain pace; during long distance runs, Cournane advises runners to consider the “talk test”; they should be able to run at a pace in which they can comfortably talk in complete sentences. This test also allows runners to monitor their effort level and determine whether they need to run slower or faster. Aside from socialization, another key benefit of running clubs is the opportunity to become involved with local charities and fundraisers. In addition to serving as the head coach of The Road to Boston, Buciak is also an official coach for several charities that have Bank of America Chicago Marathon charity teams. Due to his experiences with charities, Buciak encourages his club members to run for charities as much as possible, as their running experiences will become even more meaningful while they help others through their running. More often than not, charity teams don’t have enough runners to help train members of various experience levels. But, by joining a running club, charity runners can find other people who train at their pace, thereby easing their training regimens considerably. Not to mention, they’ll also likely receive support and donations from various members of whichever club they join. Currently, the Chicago Area Runners Association (CARA) partners with 50 different charities to support their marathon and half-marathon fundraising teams. Through these partnerships, CARA can train charity runners for their race goals, while also providing resources for the runners and their charities. Each of Oak Park Runners Club’s charity opportunities is associated with the annual Good Life Race, which it manages, plans and directs. Nearly 1,700 people participate in the race, an all-volunteer, non-profit event. 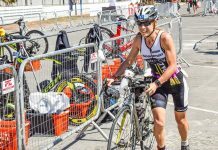 Featuring a flat, fast 5K race course, the race attracts quality runners of all ages, as prizes and age group awards are provided to every top runner. “Over the past five years, we have raised more than $125,000 for our charitable partners,” Nick Bensen explains. Frontrunners also hosts its own fundraising run: PROUD TO RUN. The run supports LGBTQ beneficiaries, as Frontrunners also forms teams for other fundraising runs, including an AIDS run. “The benefit is two-fold: not only the personal achievement of finishing a race, but also raising money for an important cause,” states Avila. Due to these charity and fundraising opportunities, along with the countless socialization benefits that can occur, Hipp believes every Chicago-based runner should consider joining running clubs.